Rainer Jenss and his family are currently on an around-the-world journey, and they're sharing their experiences with us here at Intelligent Travel. 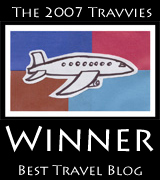 You can see all of their stops so far by bookmarking their blog posts here. After we went against our instincts and booked a group tour in China, Carol and I had mixed feelings on where we should head next. Japan was another country in Asia that we didn’t think we could handle without some professional assistance. For weeks before we left, we deliberated about even including this country on our itinerary since Carol's initial research confirmed what we suspected, that Japan would be a pretty expensive destination for a family of four. After all, there seemed to be more affordable options to consider in Southeast Asia that wouldn’t break the bank. But I was pretty adamant since I had always wanted to see more of the country after traveling to Tokyo for business in the mid-'90s. Besides, I thought the boys would be very interested in the place that invented Nintendo, sushi, and origami. I was determined to make it work even though we didn’t know anyone who could help us with housing. Renting a car didn’t seem practical and youth hostels in Japan were not really an option for us. And when we looked into organized tours, they were pretty cost-prohibitive. Finally, at the recommendation of a friend who had traveled around the world with her own family for two years, we contacted the national tourist board for counseling. I was a bit skeptical at first, but after I talked to the Japanese National Tourist Organization and explained to them our situation and budget, they seemed quite enthusiastic and confident that they could help. Specifically, I emphasized that we wanted an authentic experience – to immerse ourselves in the culture as best we could – not just stay in hotels and see all the major tourist attractions. Moreover, we wanted a relaxed schedule that wasn’t too hectic. After all, we were not your typical tourists. This was just three weeks out of 54 for us, and we had home schooling to do! So after a few rounds of revisions, we came up with an itinerary that seemed to fit the bill and budget, and on the last official day of summer, we landed in Fukuoka to begin our quest to discover the real Japan. Fukuoka is the largest city in Japan’s southernmost island of Kyushu, but quite frankly, I had never heard of it prior to this trip and wasn’t exactly sure why it came recommended. My advisors explained that this was an area not too many tourists typically visit and that it offered an opportunity to meet local people on a more personal level. Which sounded good to us. Our first impressions of the country were what we expected – it was clean and efficiently run while the people were polite and soft-spoken. This is in stark contrast with much of China, from where we had just come from. The Japanese hi-tech toilets even have heated seats, which the kids seem determined to have in our new house when we return to the States. The big highlight, however, came when we went to a professional baseball game between the Fukuoka Softbank Hawks and the Nippon Ham Fighters from Hokkaido. For us, the game itself was unimportant. We were there for the experience and that’s exactly what we got. First surprise: no matter how bad the team played (and they lost 9-0), the home crowd didn’t shout a single "boo" or voice the slightest disapproval. In fact, up until the very last pitch, the fans continued to chant the team’s anthem with as much enthusiasm as when the game started. The boys and I also noticed in amusement that foul balls drew very little interest from the crowd. Finally, there was the seventh inning stretch, which consisted of pretty much all 35,000 in attendance blowing up big yellow balloons and releasing them in unison. Forget about peanuts and Cracker Jacks, this could have been the most entertaining baseball game our family ever attended, even if we didn’t understand it. The next five days fully delivered on the promise to get us closer to the country’s culture. Thanks to being connected with Satoshi Oseki, the director of the Japanese People to People program, we had the chance to go trolling for tuna with local fishermen, sleep on tatami mats in a newly renovated Japanese cottage, and spend a couple of days in the remote regions in and around Hirado Island, just relaxing and enjoying the beautiful beaches and scenery. The kids learned to make sushi from the yellowfin tuna that had been caught earlier that day (our efforts at spearfishing proved fruitless) and visited old samurai homes and castles, complete with original armor and swords. And what made it all the more special was that there were almost no other tourists in the area. We learned that People to People is an American-based organization designed to enhance international understanding and friendship among peoples of different countries and ethnicities through educational, cultural and humanitarian activities. Besides introducing American high school students to Japanese culture during the summer months, Satoshi-san has also started a program locally for Japanese children to learn more about their own traditions and way of life. At the end of each week, he takes all the kids to visit the Atomic Bomb Museum in Nagasaki, which showcases the impact of a nuclear attack. It’s an important lesson, particularly given the fact that 63 years later, Japan and the United States are allies. Which is especially relevant when we overlay this with our earlier visit to Pearl Harbor. 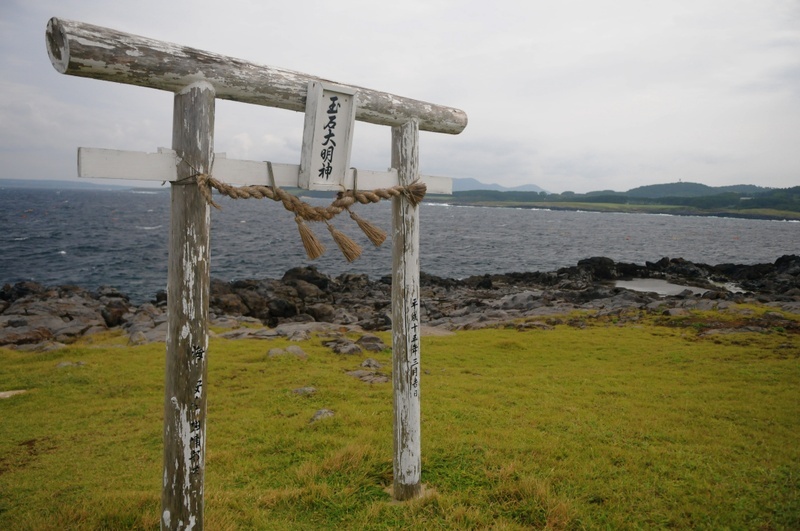 Much to our amazement, residents have been leaving these small islands like Nozaki, which is waiting to be listed as a UNESCO World Heritage site and where Satoshi-san has his nature school, in favor of economic opportunities in the big cities. In the United States, these beachfront locations would probably be prime real estate. For us, it gave a look into the soul of Japan which cities like Kyoto and Tokyo probably couldn't do. But we’ll find out soon enough, since that’s where we head to next. Very inspiring; nice to hear about somebody living life instead of talking about it and not taking any action. Keep us updated. What an amazing set of experiences. I am looking forward to reading about the impressions and experiences of the Jenss family in Tokyo. HUGS TO YOU ALL....IT IS WONDERFUL KEEPING CONNECTED AS WELL AS TO WATCH YOU FULFILL YOUR DREAMS AS A FAMILY. I have loved reading about all of your adventures. Hope you are all well and happy belated birthday to Carol. Have fun and stay safe. Great following your family adventures! Thx for sharing withthe rest of us in the states! Be well! Bill G.
We're so glad that you had a great People to People experience! If we can put you in touch with members in any of the countries you will be visiting in the future, please don't hesitate to let us know.